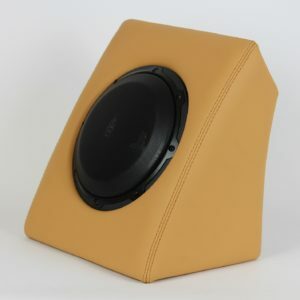 Would you like better sound than your OEM Hi-Fi system but want to keep your original subwoofer box and original speaker grills? 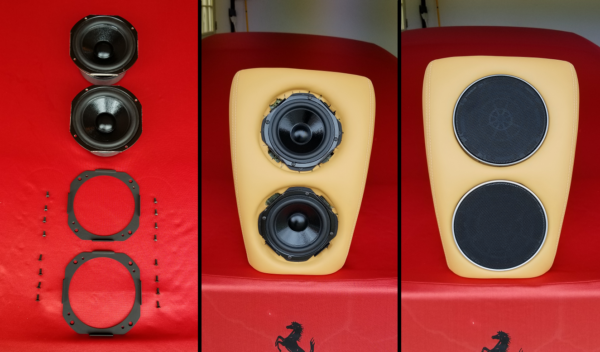 Scuderia Audio has designed a kit to upgrade your OEM speaker box that includes two high quality 5" subwoofers, each with huge 21 oz. 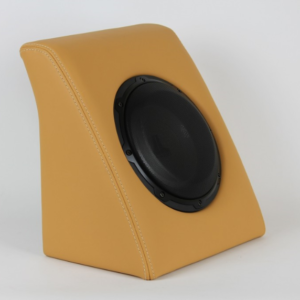 magnets and 100 Watts of power handling capacity, and stainless steel adapter plates that allow you to install in place of the single paper 5 1/4" speaker and passive radiator. 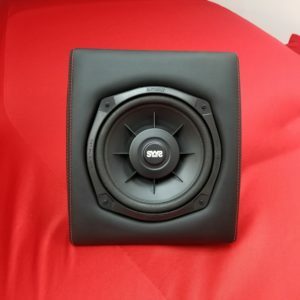 Just unbolt your old, paper coned speakers and bolt in the new subwoofers for an immediate improvement in bass! 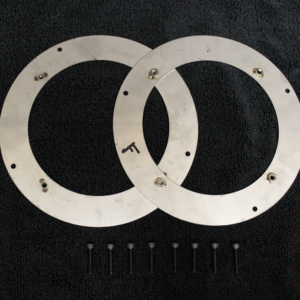 The stainless steel, laser cut and tig welded adapter plates have been specifically designed to use your original speaker grills for a totally stock look! Kit includes two subwoofers, two adapter plates and mounting hardware. Speaker grills not included.